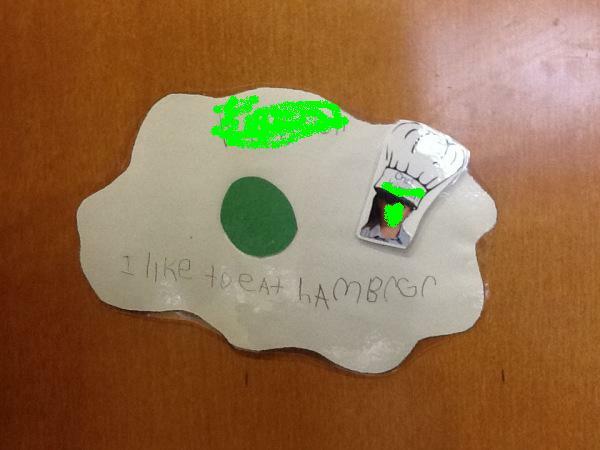 Green Eggs and Ham writing activity | My Attempts at Being Creative! My Attempts at Being Creative! Monday we read Green Eggs and Ham. Since Dr. Seuss birthday was Sunday we decided to go all out with Dr. Seuss today. 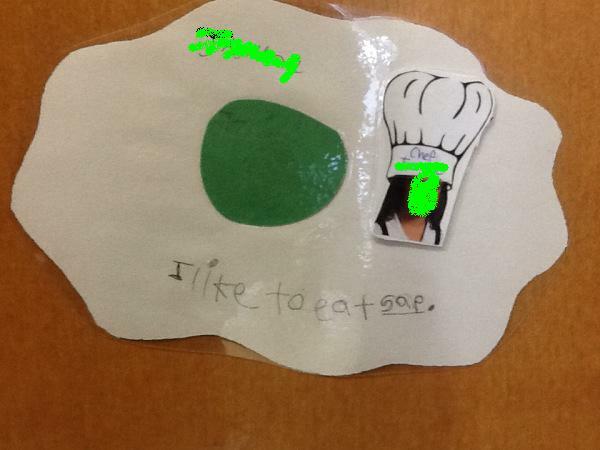 For writing we created our own green eggs and ham. 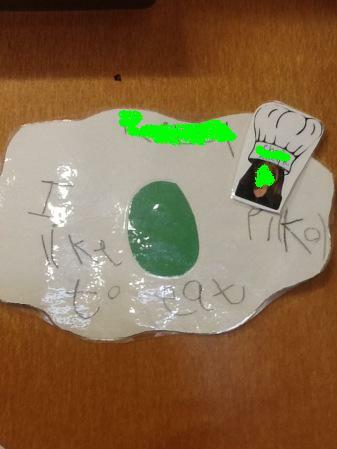 I cut out white construction paper to make it look like an egg white and then cut green (yolk) circles. 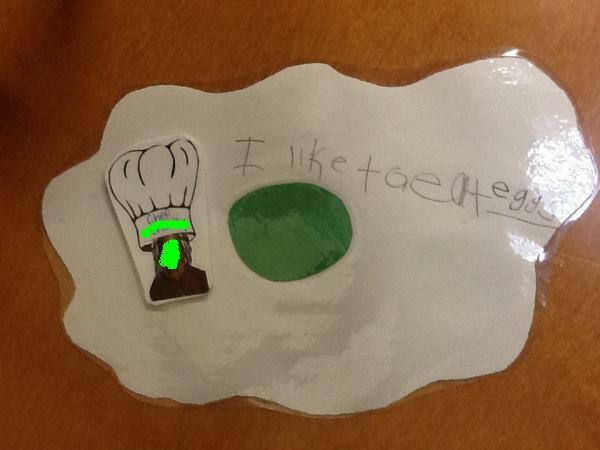 The students glued the yolk to the egg and then had to write about a food that they do not like. I got the idea here.